It’s safe to say that many people find the idea of owning their own business quite appealing, but many worry about how time consuming the start-up process can be, as well as whether or not their business can be successful. Andrew Gorski of Cleveland, Ohio, knows that feeling. He wanted to own a business that would reward him for the time and effort he put into it. 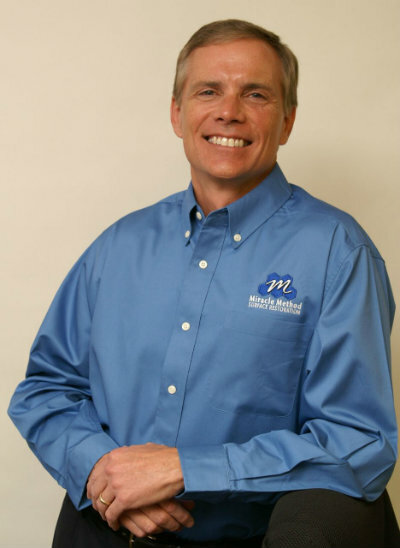 When he searched the internet for solid home improvement opportunities, Miracle Method Surface Refinishing kept appearing at the top of the list. 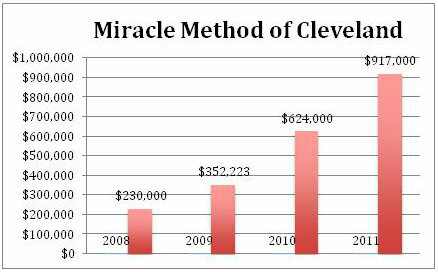 Andrew took note of Miracle Method’s opportunity of quickly generated sales, the proven management model, competitive advantages, broad demand and limited competition, and was very intrigued. He called and requested a Sales Prospectus, submitted a Personal Profile, attended a Miracle Method Discovery Day, and in 30 days was, he was in training. 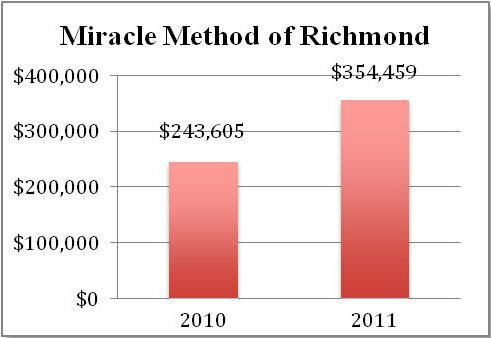 Although Andrew had no prior experience in running a business, he followed Miracle Method’s plan for advertising, which helped him off to an excellent start in 2007. In his first full year in 2008, Andrew earned $230,000 in revenue. Last year, he finished with $917,000 in sales! Although the surface refinishing industry began a little over 30 years ago, it is still an industry in its infancy with tremendous growth opportunities. 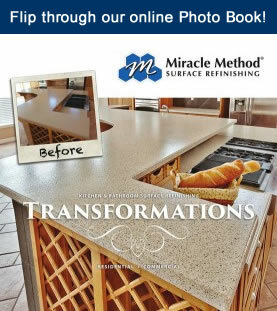 These days, consumers are looking for cost effective ways to improve their homes; and with an increased demand for refinishing services, now is a great time to learn about owning a Miracle Method Surface Refinishing franchise. Essentially any home, hotel, apartment, college dormitory, or any space with a kitchen or bath is a potential customer. 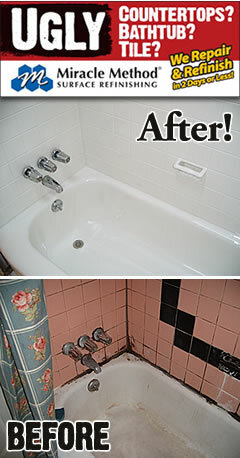 Miracle Method’s refinishing process can lead to savings of up to 75% over the cost of replacing bathtubs, tile, and kitchen countertops. Our refinishing process is usually complete in about two to three days and adds between 15 and 20 years of usable life to the fixture. Along with improved materials and processes, we have implemented a more effective marketing campaign to help educate consumers on the many benefits of refinishing. 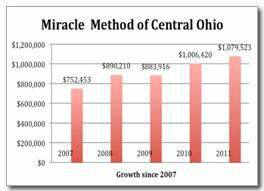 If you are interested in a recession-resistant business opportunity, visit our website for more information about owning a Miracle Method franchise, and be sure to check out our “Success Stories” section to hear about some of our successful franchisees.